“Wa, there’s no way I can study Lit. How do you do it?” Followed by, “So next time become teacher ah?” Of course, we’re by no means dissing teachers – teaching is a noble profession, and we have tremendous respect for all the teachers out there. On the other end of the spectrum, I have also encountered many friends who, upon hearing about my major, wistfully tell me that they really enjoy literature themselves, that had it been easier to secure a good grade or a stable financial future, they would have definitely chosen to study it instead. The tragic reality is that every response listed above is completely understandable, and even reasonable. As it is now (and probably in the next few years to come), Singapore is a highly efficient, economically driven society. It is a country that places value on individuals who can contribute to society in a tangible way. Literature, the study of the human condition, does not fall under the spectrum of “tangible contribution”, and so of course isn’t as highly valued as other professions. This leads to fewer people choosing to pursue literature, which leads to less literature teachers and influencers, which leads to even lesser people being taught to appreciate literature, and the cycle goes on. What people don’t understand is that literature can be accessible to anyone, that it still may be enjoyed even if not pursued seriously. The misconception that literature is an inaccessible subject meant only for a select few stands strong. Enter Sing Lit Station, a non-profit, local organisation based in Singapore. 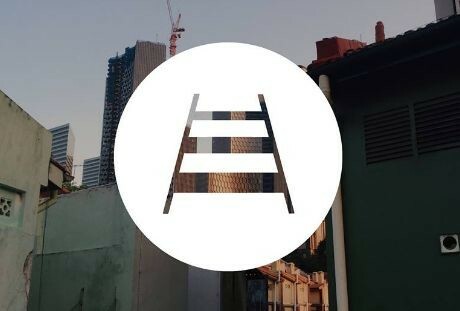 The main focus of this organisation is to bring both Singaporean writers and readers together, as well as create a one-stop portal for new and existing readers in Singapore. Founded by a group of writers and poets, the new initiative will be working closely with poetry.sg, and is also the team behind Singapore Poetry Writing Month (SingPoWriMo), an annual national month-long poetry event. Other upcoming events include the Manuscript Bootcamp, a six-month intensive bootcamp directed towards helping new, aspiring writers to develop their own manuscripts. What really attracted us, however, was the third point of Sing Lit Station’s mission statement: To grow a participative community within the literature scene and general reading population. Besides focusing on fostering the existing literature community in Singapore, Sing Lit Station also supports and organises various events that can be enjoyed by both new and old readers alike. Such events include school engagements, poetry reading sessions, and panel discussions. In her article on Singteach, Sumithra Kalidas states that “Literature is the study of people, places, cultures, traditions, ways of living and of worlds of experiences,” and perhaps, that is something many in our society do not truly understand. Sing Lit Station, or any other local literary organisation for that matter, is not ambitious enough to imagine that they can change the government’s system and its implicit validation of tangible contributions to society. What they hope to change, however, is our society’s perception towards language and reading, just as they strive to offer a platform for a community to grow. Similarly, we have a part to play. The changing of perceptions can begin from the individual. Start reading again if you’ve stopped. Re-read an old book you used to love. Ask a friend about his or her favourite book, and tell them about yours. Ask people for book recommendations. Maybe then, with enough time, enough help, and enough passion, people may one day stop assuming that all Literature students are going to end up as teachers. To celebrate and promote the official launch of Sing Lit Station, the team has put together a team of volunteers, releasing a literary video of their own. Entitled “Poetry Is For Everyone”, it is meant to spearhead our campaign that poetry isn’t what people stereotype it to be: atas, esoteric, overly intellectual, only for speakers and writers of English, and so on. Instead, the team at Sing Lit Station want to champion that poetry is something which can be read, written, understood and loved by people of all ages, from all walks of life — as clearly evidenced by the diversity of people we see on SingPoWriMo today. To support or find out more about Sing Lit Station, visit their Facebook and official site.